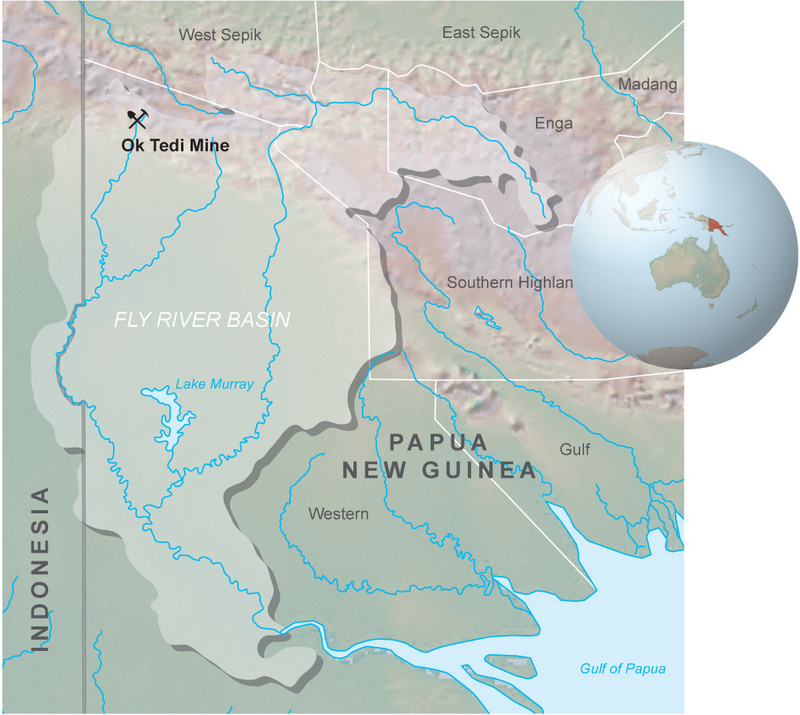 The Ok Tedi mine is located high in the rain forest covered Star Mountains of Papua New Guinea. Prior to 1981 the local Wopkaimin people lived a subsistence existence in one of the most isolated places on earth. That was before the 10 000 strong town of Tabubil suddenly appeared in the middle of their community. The Ok Tedi mine was built on the world’s largest gold and copper deposit (gold ore capping the main copper deposit).